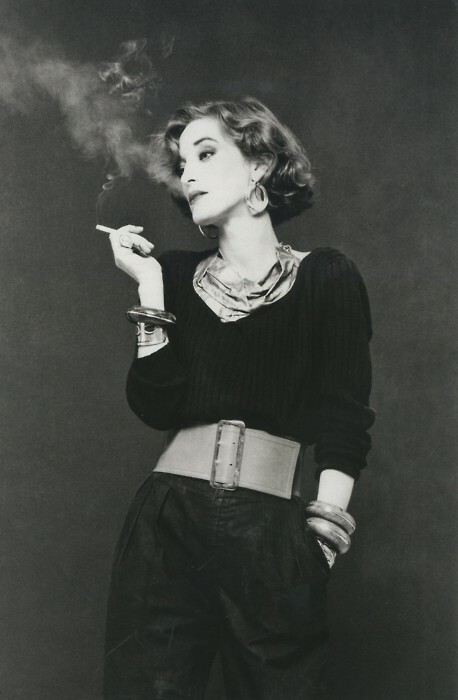 Sad day for fashion today: Loulou De La Falaise, one of the most elegant women in the world died, age 63. A long time friend and collaborator of Yves Saint-Laurent, she has always been a huge inspiration for me. Her sense of style and fashion was always impeccable and she was a formidable person as well. 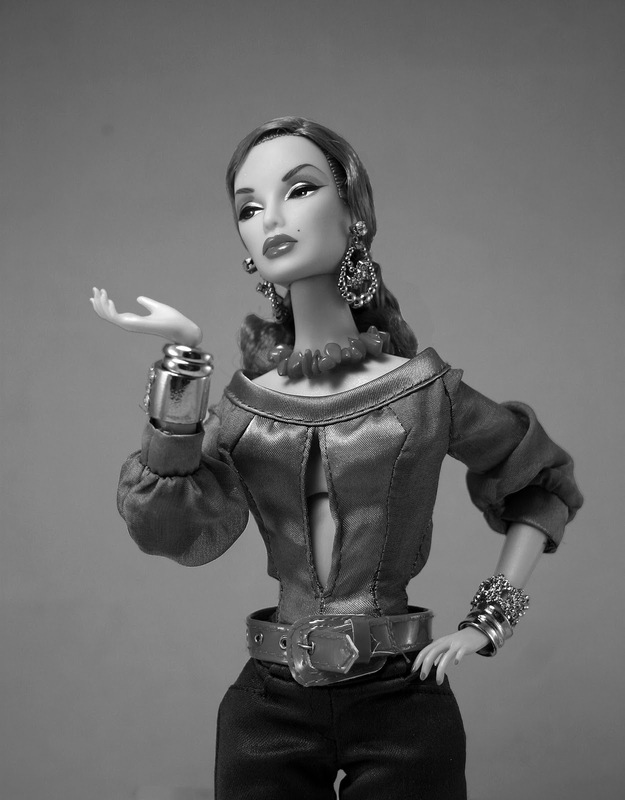 I wanted to capture her sense of style and elegance with a doll. I do not have one that looks remotely like her, so I picked one of my Monograms, Magnetism, for her French allure and feel. Picking the outfit, to resemble one of Loulou's iconic photos, was a bit easier. Of course it would not be complete without jewellery: Loulou was a jewellery designer herself, so she always wore lots of them. I tried to get the essence of her style, rather than copycat the photo. You can be the judge of the result. I did a back & white photo, added one in colour (Loulou was incredible in her colour mixes) and the original inspiration below. If you want to read more about Loulou, I wrote a tribute to her in my design blog. Wow this doll has got great hair colour! And it looks so good with red lips and accesories.